Dual-core 4 threading clocked at 2.7 - 3.5GHz. 4MB cache and 15W TDP increase process speed and lower consumption. Support ultra HD 4K resolution, max 4096 x 2304 60Hz. Support mSATA and SATA SSD. You can install one HDD ( 2.5 inch ) and one SSD ( mSATA ) at the same time. 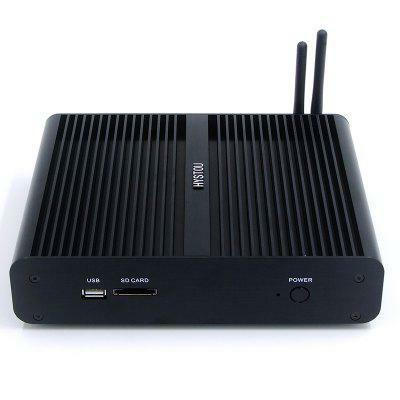 Want to be notified when the HYSTOU FMP05B - i7 - 7500U Mini PC gets even cheaper? Make sure you snag the best price by entering your email below. We'll email you when the price drops, free! We're tracking the price of the HYSTOU FMP05B - i7 - 7500U Mini PC every day so you know if that deal is really a steal! Check back for to check the best price for this product - and whether its current sale price is really the cheapest it's been! No HYSTOU FMP05B - i7 - 7500U Mini PC coupons found!